I was interested in botanical dyeing other than cloth and thread for a long time. Recently I got the opportunity to dye deer leather. If we devise one way to dye the fiber, we can dye the deer side so beautifully. But I think that there are dyes which are easy to dye into leather and dyes which are difficult to dye. I still have to study about this. 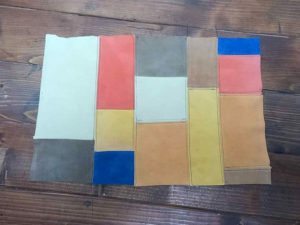 This patchwork is deer leather dyed with madder, indigo, coffee, onion skin, turmeric, and bamboo shoot skin. I am planning to make a wallet with this patchwork. 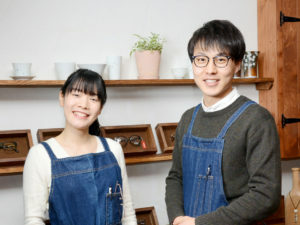 Please look forward to.